Ginny Sims is the executive director for Southern Pines Animal Shelter in Hattiesburg, Mississippi. The organization includes an open admission shelter, which takes in over 7,000 pets each year, a spay and neuter clinic, which has completed more than 55,000 surgeries since 2009, and a Second Chance thrift shop. Before working in animal welfare, Ginny spent seven years as director of communications and professional development for a technology-based nonprofit focused on bringing 21st century skills to classrooms, teachers and individuals in impoverished communities. 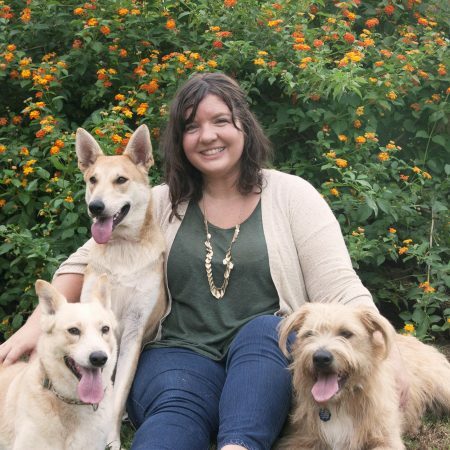 Ginny found her calling in animal welfare after becoming a volunteer photographer and adoption counselor at Southern Pines, where she became interested in ways to better market and showcase pets to increase adoptions and reduce shelter euthanasia. She worked to grow her knowledge of the shelter and animal welfare and joined the staff as a volunteer coordinator, and soon after was named director in 2013. Ginny leads a strong and dedicated team of staff and volunteers who have worked together to build programs and community partnerships that have dramatically increased lifesaving efforts at Southern Pines. Through their efforts, Southern Pines has grown a robust transport program, which helps more than 5,000 cats and dogs from Southern Pines and more than 12 other shelter and rescue partners to be placed in adoptive homes in northern states, created a barn cat adoption and SNR program, which has virtually eliminated euthanasia of feral and community cats entering the shelter, and created growing partnerships with community organizations to increase pet retention and decrease shelter intake. Under her leadership and through the efforts of many, the euthanasia rate has steadily decreased and Southern Pines has achieved a lifesaving rate of over 95 percent, while continuing to serve as an open admission shelter. Ginny holds a bachelor’s degree in mass communications and journalism with an emphasis in photojournalism, and she is the proud human mom to three rambunctious but adorable dogs (Rue, Schmitt, and Yoti), a much-too-clever cat (Mreereereer), and 11 very chatty chickens.